Apropos, considering my late father-in-law was a helicopter pilot. We’re still dealing with the loss. Ahh. Didn’t know that Tonette. Sorry you missed all the info on FB. Ed was a handsome successful Naval Capt. Two of his claims-to-fame were that he was in the conning tower for the Gemini 10 rescue operation and the pilot who picked up the Apollo 7 capsule. He died less than two weeks go.I could not get out to the family, but Joe was there at his death. Bit of a rake, Jillian…left a wife with 15 children and DIDN’T marry the mother of another child, but he was a charming rake, who realized the error of his ways. We will miss him. I’m sorry on your and your families loss Tonette. Jillian you certainly captured the sky in this one. Ah, Tonette, my prayers are winging to your family. Loss is never easy. Sigh. 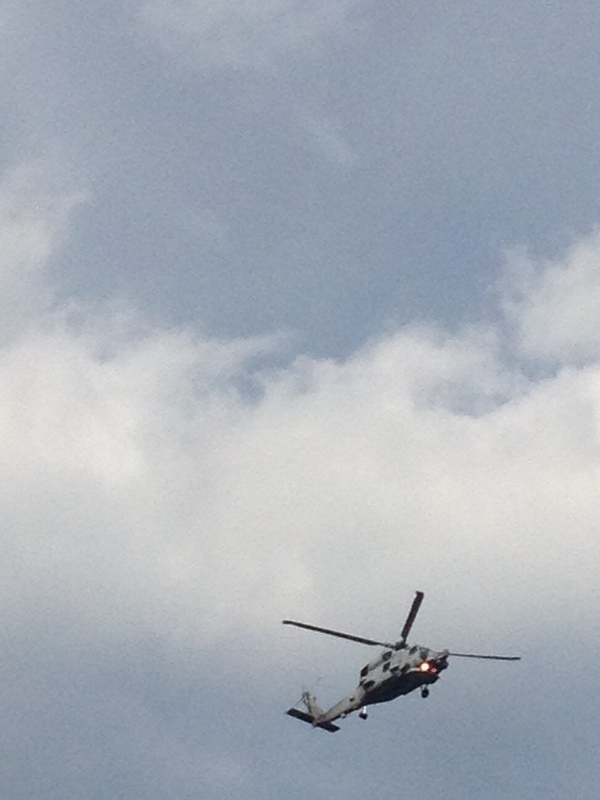 Now, for helicopters, Jillian…they are regular appearances around here, with both an Army and Air Force base close by. In fact, we have a lot of air activity here. That was one of the biggest things we noticed in the days following 9/11. Everything was grounded and it was eerie, having nothing flying overhead. We have tons of copters here too with the Navy and Air Force bases all around us.